10 Years, 3,650 days, 800 water points, the thirst of 1,000,000 people quenched. We are raising money for our next decade of giving water! As we approach our 10-year anniversary, we're not just celebrating the first borehole we drilled in July 2008. We're celebrating the resilience of the people of South Sudan. People like Rose. We met Rose Tabu standing next to a well in Amir Community with her 18-month old baby, Blessing, on her hip. Like all moms in South Sudan, she had a story to tell. "I walked four days with my baby to arrive at this safe place," she said. When her village was raided, she was forced to flee with nothing but her baby on her back. Four days later she arrived at the Amir Community well, traumatized, exhausted, and thirsty. Rose and her baby were among the first to arrive at this well. But that changed quickly, as people on the run are drawn to safe water points. Now an estimated 3,600 people use this well daily. 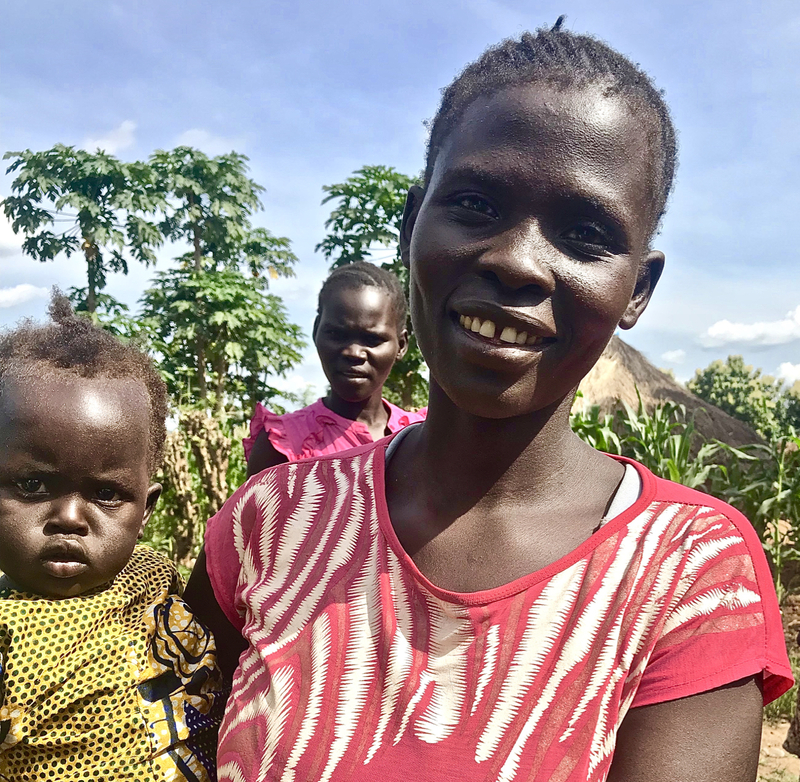 The need for clean water in South Sudan is rapidly increasing as internally displaced people seek safety and returning refugees return to their villages. Like Rose, they are tired and traumatized. But once their most basic needs are met, like the need for water, they can begin to heal and rebuild their lives. Our local team is able and ready to restore at least one well a day. But 10 years of drilling boreholes and restoring wells has taken a toll on our equipment. In fact, we need to raise $130,000 over the next 40 days in order to repair and replace equipment so we can continue bringing clean water to hundreds of thousands of victims of war and conflict. Help us continue quenching the thirst of people like Rose today, so they can start rebuilding their lives and rewriting their futures. With your help, we know we can reach our goal. It's that simple. Please, make your donation today so we can #Quench the thirst of the people of South Sudan. Several years ago I attended Easter services at Irving Bible Church. A presentation was made that touched me. Woowhoo go Water is Basic! Merry Christmas to the Maher siblings. This donation given by friend Marianella Luces Izarra who was unable to be at last Friday's event at Zenzero but wanted to give. Giving in Memory of Mark Caffo. Water sustains life...God gives salvation. Water is so basic, we are so blessed to have it so readily available in the US! I'm giving at the recommendation of a friend. She told me about the great work Steve Roese has been doing to provide clean water in South Sudan.